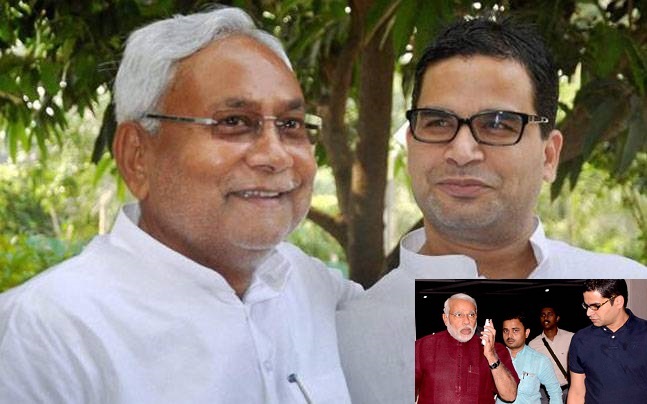 Who is Prashant Kishor and His Role in Bihar Elections to Defeat BJP? Prashant Kishor, a native of Bihar, had quit a UN health experts job in Africa in 2011 and returned to India to form a group of young professionals who devised the strategy to project Modi as the face of good governance in the 2012 Gujarat polls and last years general elections with resounding success. Kishor had brought together a group of graduates from Indias premier institutes and multinational companies to work on Modi’s 2014 election campaign under the name Citizens for Accountable Governance (CAG). Kishor, 37, who conceptualised and implemented Modi’s popular Chai Pe Charcha initiative, substituted it with Parcha Pe Charcha (discussion over pamphlets) under which Nitish’s poll managers sought feedback from people on the state governments performance over the past decade. Realising that the JD(U) cannot match the resources of BJP, Kishor’s team also devised the Har Ghar Dastak (knock on every door) that helped the party establish a personal connect with the masses. When asked why he switched over to Modi’s rival, “Nitish Kumar is one of the country’s most credible politicians.” Kishor said. It’s a landslide victory for the Mahagathbandhan in Bihar. BJP, the largest single party, is reduced to number three in Bihar. Prime Minister Modi, an arch rival of the JD(U) leader, had staked it all, having addressed at least 31 election rallies, unusual for a Prime Minister in a state poll. The results could not be worse for the party in a high stakes election. At the last count it had won 52 seats, of the 160 it contested.